Sister Esther Lupafya, Co-ordinator at the Ekwendeni Hospital HIV /AIDS Programme, recently visited the Raven Trust at Strachur and met Mrs Helen Scott of Lossiemouth, representing Moray West Presbyterial Guild, and Iain McPhilimmy, Trustee of the Raven Trust. 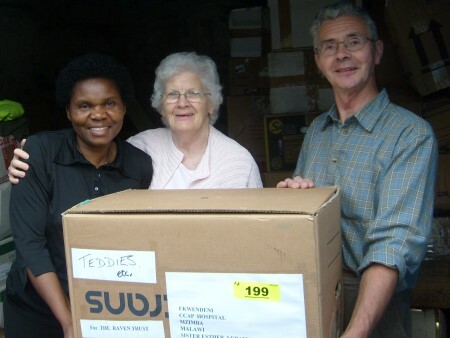 Esther expressed her gratitude for all the clothing and knitted goods sent to her. Her department is currently responsible for the care of some 7,900 orphans in the Ekwendeni area and the goods are very much appreciated.